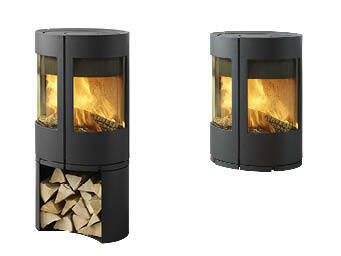 Morso 6100 Series and Morso 6600 Series are contemporary wood burning stoves from Morso 6000 stove range. The Morso 6100 are 80.1% efficient with its unique combustion system ensures a high temperature in the chamber which burns off the flue gases. This means you get a cleaner more environmental burn guaranteeing excellent fuel economy. The 6100 series stoves are available with outside air kits and are Defra approved for burning wood in smoke controlled areas. Choose from a plain base, a low log store, a tall log store or a pedastal base. The Morso 6600 Series is truly a unique stove with its stylish double doors on a cyliner shaped stove body allowing you to have a 180 degree view of the flames. 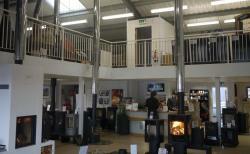 Choose from a log store base or a wall hung wood burner.